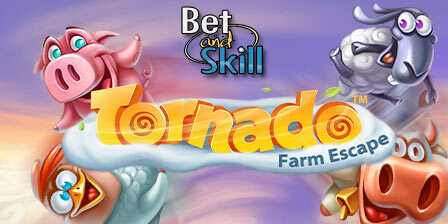 Play free Tornado: Farm Escape from Net Entertainment here at BetAndSkill.com. Try this online slot just for fun and learn the tricks. Find the best online casinos where to play Tornado Farm Escape slot, get tons of free spins and no deposit bonuses! Tornado: Farm Escape is a stormy adventure! A 5-reel, 3-row, 20-line video slot produced by NetEnt that introduces the brand new Tornado and Storm features. The Tornado: Farm Escape slot is themed around a farm and the reel symbols depict many of those items, so you are going to find reel symbols such as a Pig and a Chicken, Boots, Milking Stool and even the Farmers Sofa. Players can win up to 167,000 coins when playing on this slot and the theoretical return to player (RTP) is 96.50%. The minimum bet is £0.20 while the maximum bet per spin will be £200 – which will suit players of all bankroll levels. The Storm feature heaps an abundance of Wilds on the reels as the farm animals are swept away from their rural life. You will see the Storm moving one position at a time in any direction generating wild symbols until it moves outside the reels area and disappears. The Tornado feature is activated while Hot and Cold symbols appear simultaneously on reels 1 and 5. This feature scoops up symbols and any Wilds on the reels, awarding coin wins for each. This feature only ends when a spin doesn’t have any active or wild symbols in it. 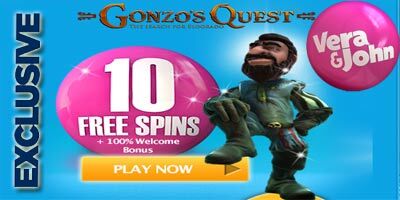 "Tornado Farm Escape slot - Free Play - No deposit bonus - Free Spins"